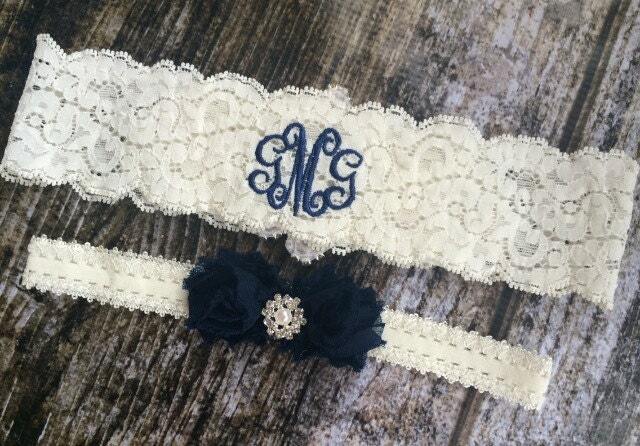 Personalize your garter with your new married name or initials! Just let us know at checkout what you would like embroidered - Initials, Mrs. (New Last Name), Wedding date or more. 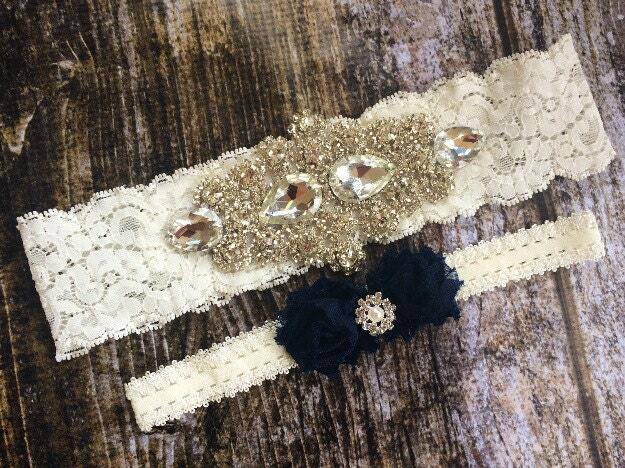 Comes with a coordinating toss with a pearl rhinestone embellished center and your choice of flower color. PLEASE INCLUDE YOUR MONOGRAM IN THE ORDER IT WILL APPEAR, THIGH MEASUREMENT, LACE COLOR (WHITE OR IVORY) AND FLOWER COLOR AT CHECKOUT IN THE NOTE TO SELLER SECTION. ***************PLEASE copy and paste the following to the note to seller section at checkout and make sure you DOUBLE CHECK as there are no returns on custom or wedding items. 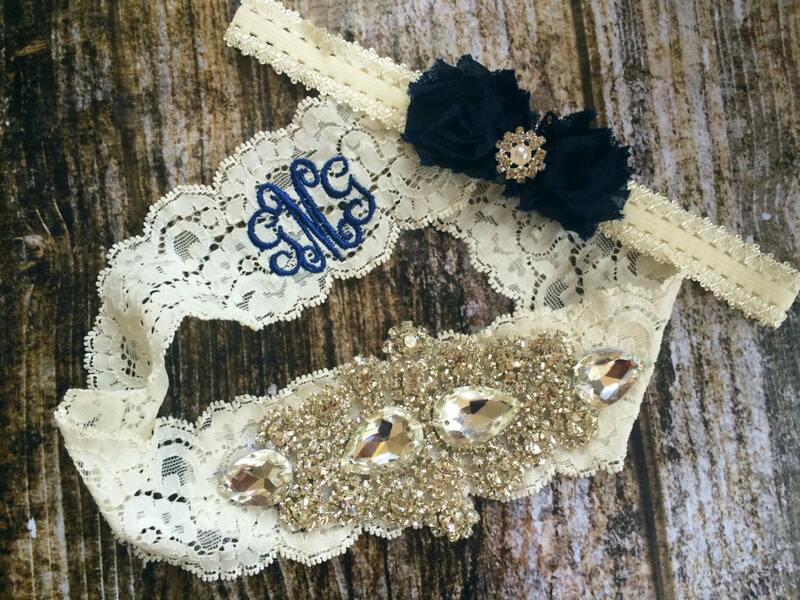 ****Monogrammed garters or any other embroidered items can not be refunded after 48 hrs of purchase date due to the nature of this item.